This new PTC 3Shape training app utilizes the same PTC training techniques and step by step procedures used by dental professionals in over 35 countries. 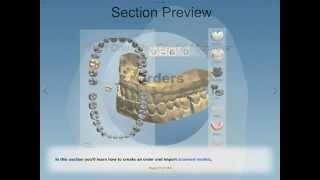 With over 500 pages of illustrations and professionally narrated videos the courses progress from The Introduction to CAD/CAM to 3Shape posterior Bridges. A brief summary of each course is included below. The Introduction to Computer Aided Design is a free two-part program. Part One covers basic CAD/CAM processes, a short explanation of the transition from analog to CAD/CAM and an introduction to design fundamentals. 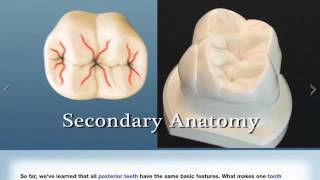 Part Two teaches dental anatomy fundamentals and basic vocabulary necessary to communicate and understand the names of the teeth, their surfaces and arrangement. The Simplifying Posterior Dental Anatomy course is a comprehensive study of the features of posterior anatomy every technician needs to know to effectively make decisions during the CAD design process that will ensure the fit form and function of the restoration.